Within each human being lie reservoirs of limitless peace, profound connection to the whole of life and a love that can fill our heart. Yet the common human tendency is to expend great energy seeking for fulfillment in external things, in trying to control life to manifest our desires and keep away our fears. These twin dynamics of the ego mind – chasing after something we believe will fulfill us, and resisting that which we believe would threaten us, turns our life into a frustrating search, with pilgrimages to false gods that seduce us with strategies of how to get what we believe we lack. It is exhausting and ultimately unsuccessful. At some point we need to just stop. Then we can see that what we have been chasing after has been here all the time, and what we have been resisting does not even exist. Then there is freedom, and usually gentle laughter. We can be our essential self, relaxed and at home in our own skin. So much of western culture from our advertising to our education systems promotes this trance of external seeking and attempts to control the flow of life. Along the way we become lost to our own essence, lost to the natural innocence of the heart. We forget what it is to simply be ourselves. We begin to feel more separated from others, and we grow hardened, defensive and more self-oriented. Without even being aware of it, we slip into living life as if it were a rehearsal for the real thing – some kind of half-hearted performance. A mysterious sadness pervades us although we cannot easily name it let alone find our way out. This us our unnecessary suffering. It is both personal and collective. There is no one alive who has not bought the idea that happiness, freedom, fulfillment, peace can be achieved through the right circumstances: whether that for us be centred around the right relationship, achievements, power, knowledge, money or possessions. We even subtly transfer this approach onto spirituality – making a path of God, creating conditions and steps to reach the summit in some future time. As noble as this seems, at a certain stage this becomes just another subtle strategy for further embodying the mad idea that what would make us whole and happy is in some other time, state and place. Perhaps you are tired and dis-illusioned by the search for God, the search for wholeness and freedom. Despite the feelings of despondency this may initiate, this as actually very good news. Only when we begin to drop the search for anything, to relax our grasping, can a depth of awakening that truly delivers on its promise really occur. Then our lives can become a living testimony to real love. Awakening to a deeper truth may mean that one day, for no logical reason, you simply know that you can no longer play by the rules you may have lived by for years; the unwritten rules of a relationship, the beliefs you have been conditioned to accept as fact, the script you have written for your own life, even the ‘rules’ of a cherished spiritual teaching. Ultimately, we are asked to step out of line and rest truly open, available to let the mystery of life usher us into new depths. Initially this can feel terrifying, but also thrilling. 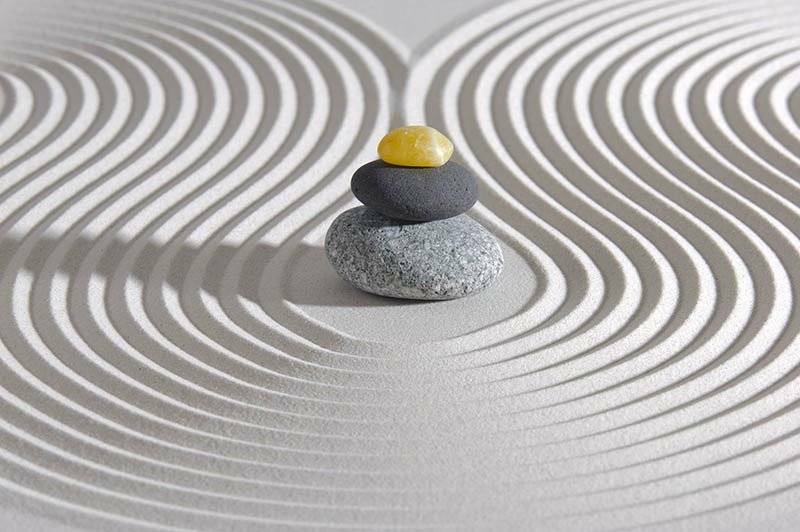 This is what it means to stand at zero – the space of deep openness and receptivity. Zero is the cosmic port-hole through which the new can emerge; new freedom, new awareness, new love, new possibility, new peace, new life. It can only emerge when we find courage enough to embrace the empty space, even though it might ask us to face the fear of the void. When we stand at zero, we live magically with the joy and aliveness of little children, who learn so easily because their minds are truly open and uncluttered by fixed ideas. Any authentic movement requires a break from the past – not because the past is inherently bad, but because it is difficult for a deeper truth to emerge amidst old habits. Often, we are not even aware we are living from habit. However, we notice there has been a dulling of our aliveness, a cynical edge that has emerged in our heart. We recognize that some vital part of us has gone to sleep, we have become closed, and the juice is gone. I invite you to a radical openness to life, one that asks you to risk feeling everything: moving through life minus the usual insulation that we have been taught we need to survive. Living this alive asks us to meet our own experience more defenselessly, and then to learn to meet the totality of the collective experience defenselessly. Commonly this feels scary because it inevitably involves experiences of contraction, and we have been led to believe this is bad, but it is not – it is natural. Pain is part of human life, but suffering is optional. Most if not all of our suffering is caused by resistance and defense of pain. Our fear of experiencing heart-break ironically leads us into a living experience of a mild background broken-heartedness. This need not be. Any painful experience met with deep acceptance inevitably finds release into grace. Any positive experience met and lived fully expands into further grace. When we learn to embrace personal pain, sadness, loss, not getting what we want, we can then come to embrace the broader pain of the world with an open and compassionate heart. If you are willing to experience everything with a soft, open curiosity, you discover there is no need for defense. You have no need of anything but surrender, deep honesty and being yourself. This is freedom. Could you dare to show up to life radically open? Could you find courage enough to be spontaneously available to the present moment? Could you be willing to feel what is here, and dive even deeper to what is beyond all feeling? Could you risk stopping your strategies of chasing after fulfillment even if only for a moment? Could you stand at zero? Could you allow yourself to be free? Would you? 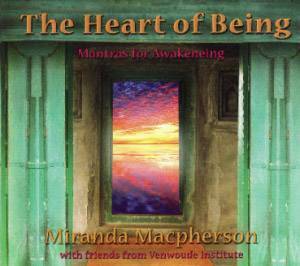 Mp3 recording of “May all Beings Dwell in the Heart,” a track from Miranda’s “Heart of Being” mantra CD. Connect with a global community dedicated to practicing Ego Relaxation in daily life, and bringing more Grace into our world. Enjoy regular FB live broadcasts from Miranda, and find inquiry partners wherever you live in the world.